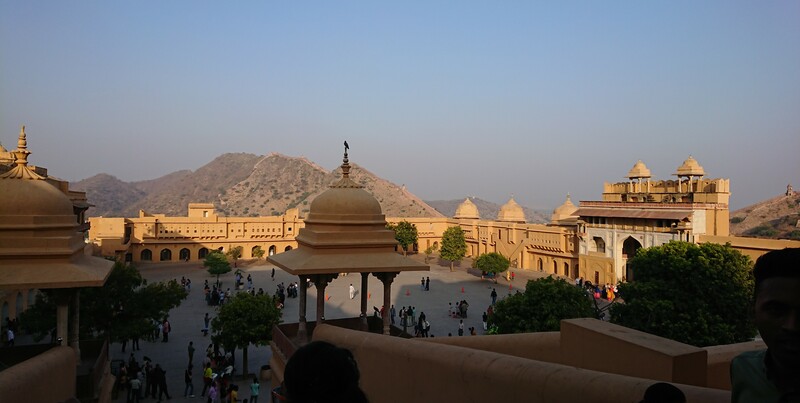 Amber Fort (also known as Amer Palace) is a huge ornate Rajasthani palace overlooking Maota Lake. 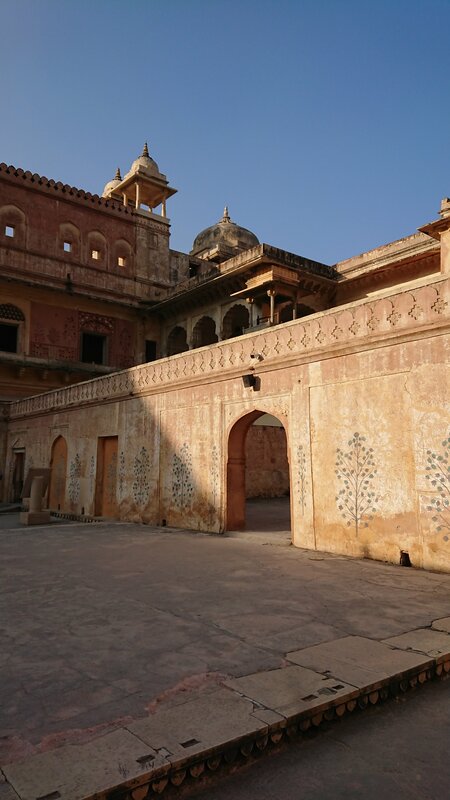 It’s at the top of a hill across four different courtyard levels and was built in the 16th century by Raja Man Singh. 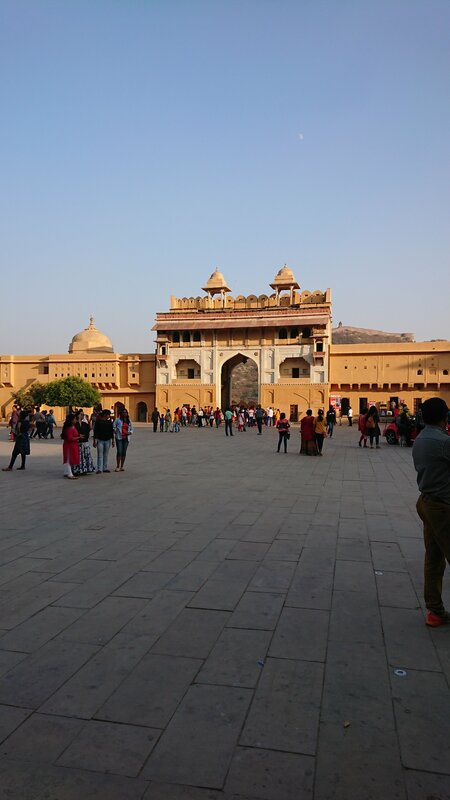 There are two main gates leading into the first courtyard; the Sun Gate which faces east and was reserved for royalty and the Moon Gate on the west. 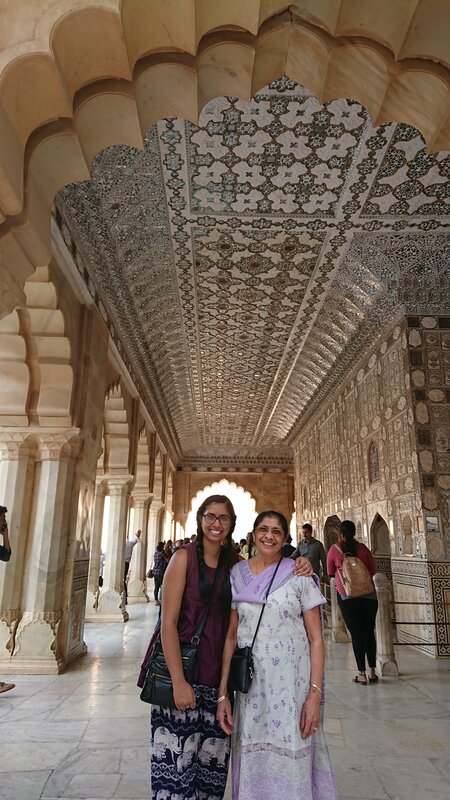 On the second level, there’s a huge public audience hall with rows of carved columns looking out over a spectacular view. In the centre there is the impressive Ganesh Gate (or Ganesh Pol) embellished with mosaics and sculptures. 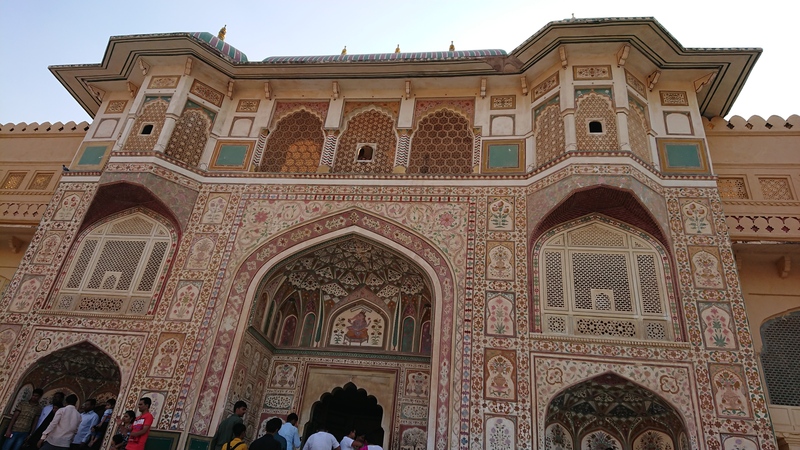 The Ganesh Gate leads up to the third level of where there’s an incredibly intricate Palace of Mirrors (or Seesh Mahal). The fourth courtyard was reserved for the Queens and designed to take care of their every need. We had a fantastic time visiting and can only imagine how stunning it must have been when it was lived in! 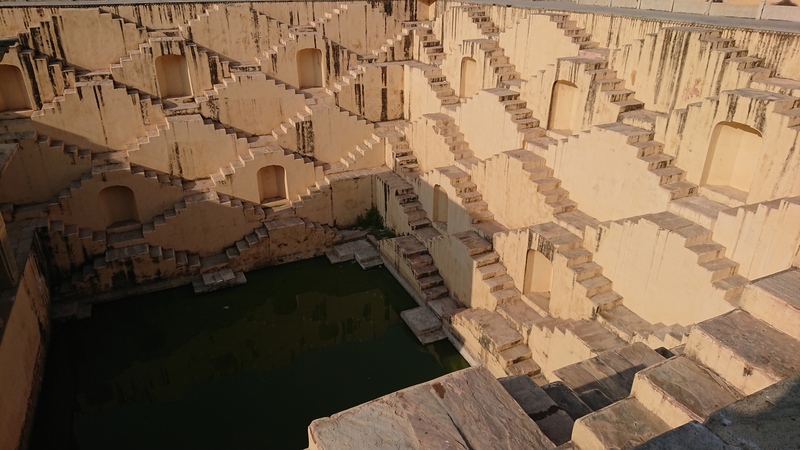 On the way up to the Amber Fort, we stopped off at a stepwell. These were designed as a type of reservoir for waterscarce areas that have silty soil that could not hold water to form ponds. It’s also a great place for some photos! 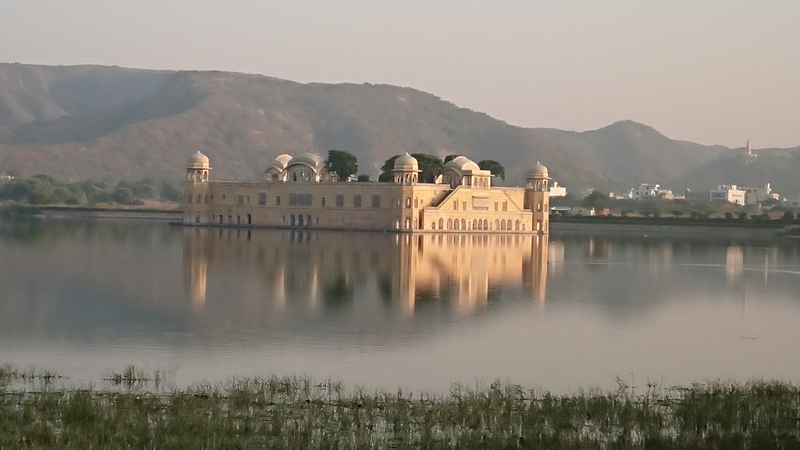 When we were heading back into Jaipur, we hopped off to view Jal Mahal (Water Palace). Although visitors are not allowed into the palace itself, it’s still a lovely view across the river.